In ancient China the first line of therapy to help fight illness was to counsel the patient on which foods she should be eating and which ones to avoid. We carry this philosophy of “food as medicine” into our practice today and provide our patients with the opportunity to learn more about what they should be eating and why. Optimal nutrition is one of the most important pillars upon which good health is built. Unfortunately the hectic pace of life in the modern world often does not allow most people the time it takes to prepare and mindfully eat quality food. Perhaps we have forgotten the meaning of quality all together. We race around, subsisting on snacks and take out and at the end of the day we wonder why we have no energy left to cook a proper meal. Sound familiar? 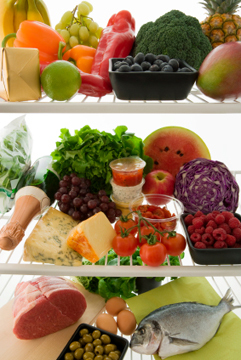 Nutritional therapy may be right for you. Who May Benefit from Nutritional Counseling? We offer our patients only the highest quality herbs and nutritional supplements. These include organically grown, nutrient-dense vitamins and minerals derived from whole food sources. This means that each tablet or capsule provides a concentrated source of whole vitamin complexes, the way nature intended. There are no synthetics here. In our experience, the highest quality translates into the best results and we think you’ll agree. So we invite you to experience the difference whole food supplements can make in your life and for your health. Let us custom tailor a diet plan that is right for you. For specific questions about nutrition and counseling you may email: tama@hydeparkwellness.com or call our office at 512.451.5726.